Ipe trees are trees from a plant family known as the Bignoniaceae family also referred to as the Trumpet Creeper family. This plant family has over 750 species in about 120 genera. Most members of these plant families are trees, shrubs and plants. There are many genera in this family. The most noted genera include Catalpa, Jacaranda, Kigelia, and many others. One genus that stands out is the Tabebuia genus. The Tabebuia genus consists of over 100 species and is usually found in South America, the Caribbean, and in Northern Mexico. The most popular trees in this family include Poui, trumpet tree, and Ipe (eeh-pay). 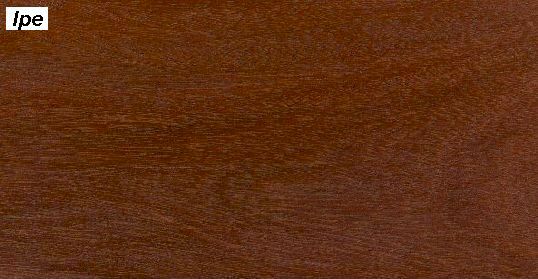 Ipe wood is primarily used for outdoor decking and heavy construction. The indigenous people of Brazil used wood from the Ipe tree for shelter, transportation, and medicinal purposes. Flash forward to today, and homeowners, builders and architects use this Brazilian wood for outside decks and patios, stairs, furniture, and heavy construction, flooring, tools, benches, boardwalks, piers, residential homes and much more. While Ipe is a beautiful wood, it can be slightly challenging to work with because of its superior strength. Therefore it’s best to use hand and machine tools that have carbide tippe blades when cutting. It’s highly recommended that you perform surface preparation before gluing, nailing or screwing. When you have the right tools--- installation is a seamless . In fact, Ipe dries very well with minimal to little twisting, checking, or bow. It can last up to 25 years! And after you install your Ipe deck, you can rest assured that it won’t bow, splinter or twist like other woods do. Simply meaning, you and your family can walk on your deck barefoot at any time and not worry about getting nasty splinters. Contact our decking specialists at Austin Wholesale Lumber and ask about the Ipe decking wood we carry today! Whether you want Ipe decking wood for your next project or you are looking for other natural woods, we can help. At Austin Wholesale Lumber we carry a wide selection of exotic decking wood, composite decking wood, and plastic decking wood. Some of the brand names we carry include Latitudes, Ameradeck, Ipanema, and many more. Call us now to speak with a decking specialist to see what type of decking wood is right for you. Copyright © Ad Wizards 2001-2012.ipe_botanical_info.htm.rev.11.07.12.